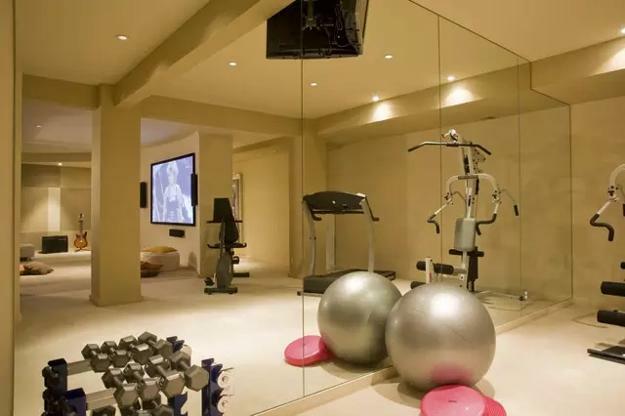 Home gym design can motivate you to exercise. 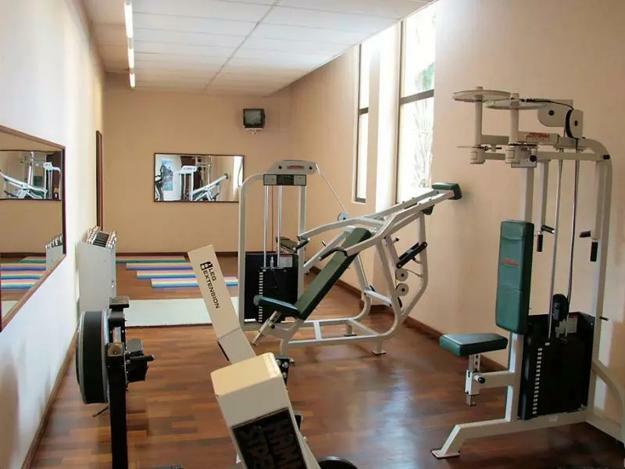 It is a fantastic room that you take advantage of, getting active and feeling powerful. 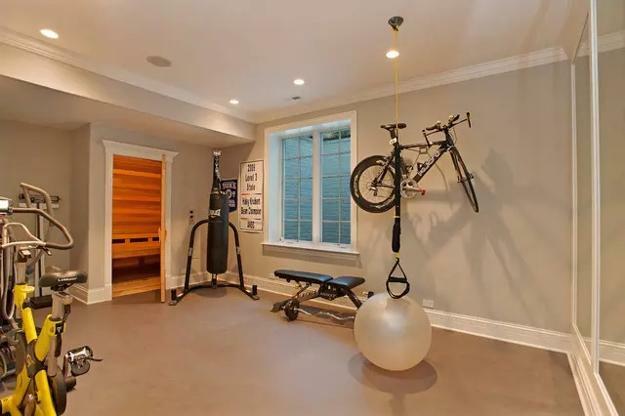 Functional room layout, convenient gear placement, a nice view, sport-themed accents and inspiring wall decorations create a beautiful place and encourage to exercise often. 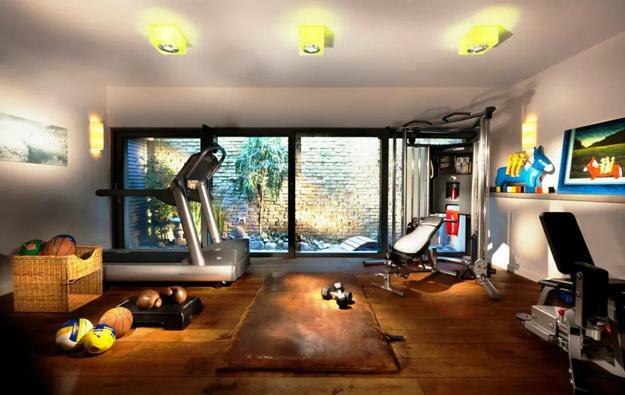 Have a look at amazing home gym designs offering fantastic inspirations. 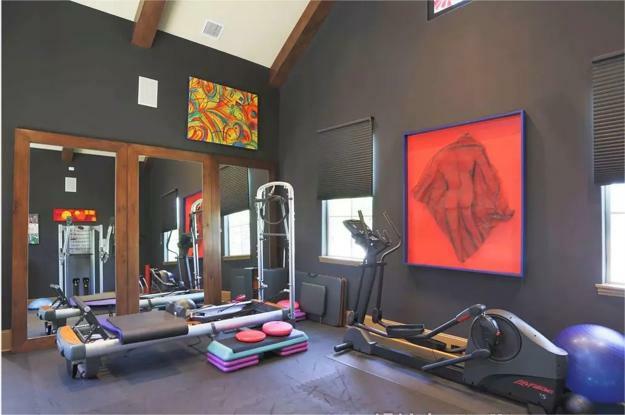 Home gym training is an excellent option for people to train at home and achieve results. 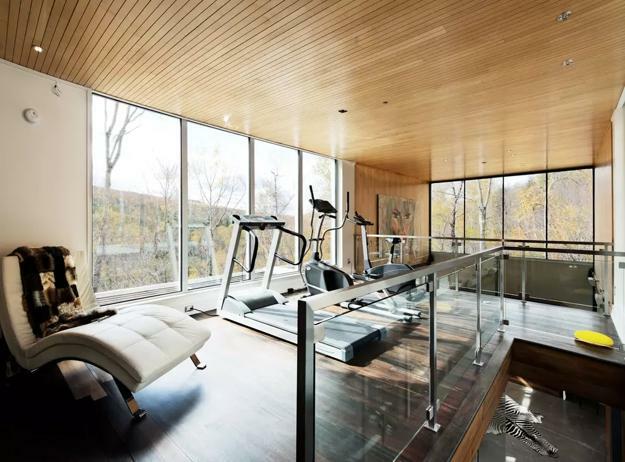 You can work out anytime you want in your gym. 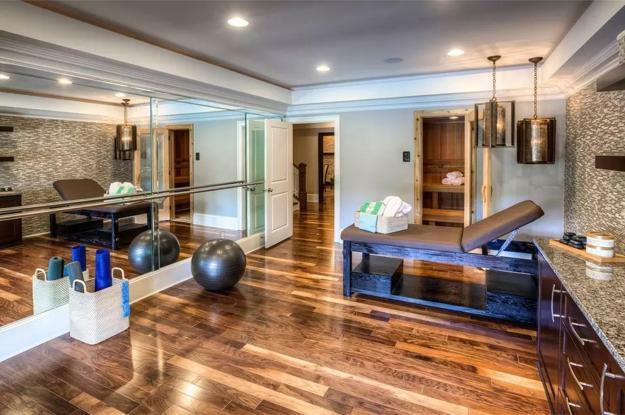 No commuting time means your workouts can take less time. 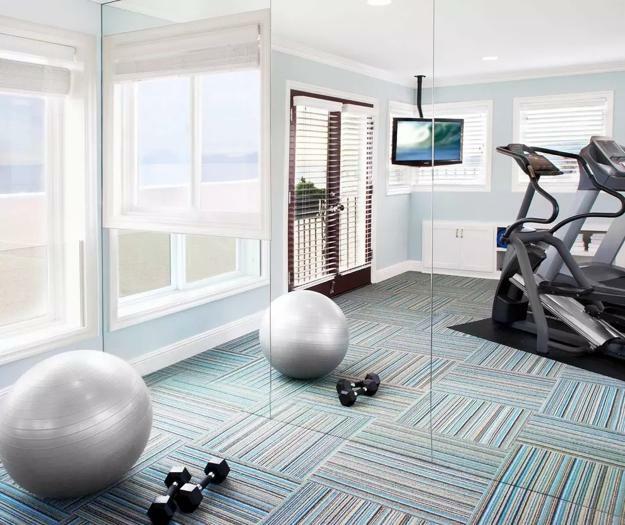 You save time and energy, so you can work more often and stick with your exercise plan. 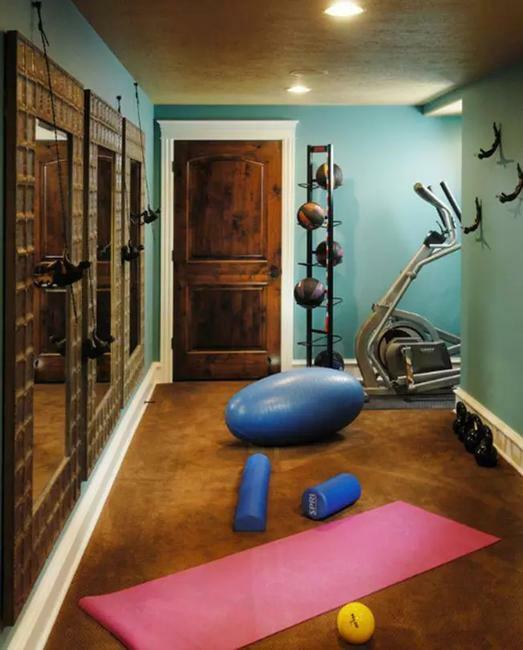 A home gym is a secluded place where you can think without interruptions. 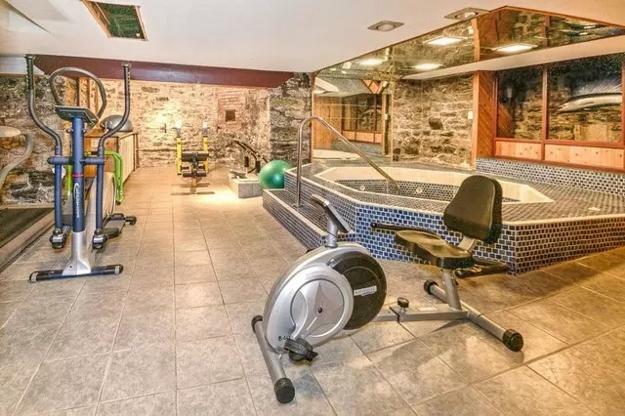 Noone will bother you in your home gym. You can stay alone without listening to suggestions. 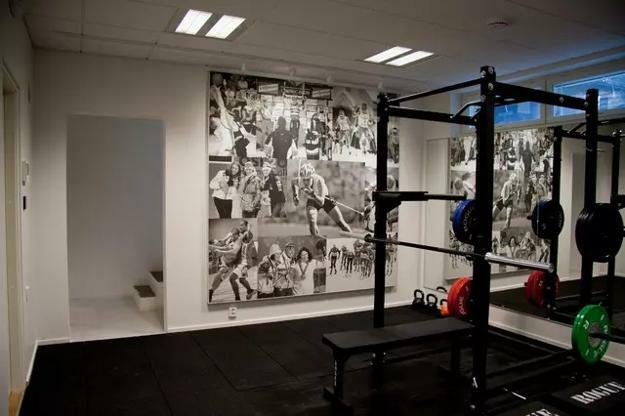 Nobody will ask you to explain how to work out or give a critique. Privacy is the luxury. 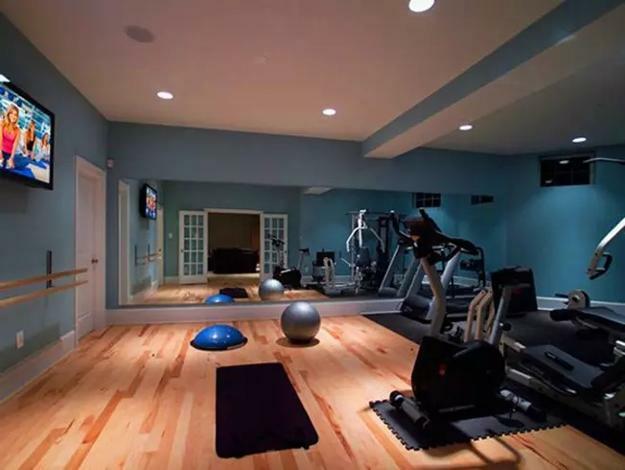 Saving money is not evident, but a valuable reason for creating a home gym. 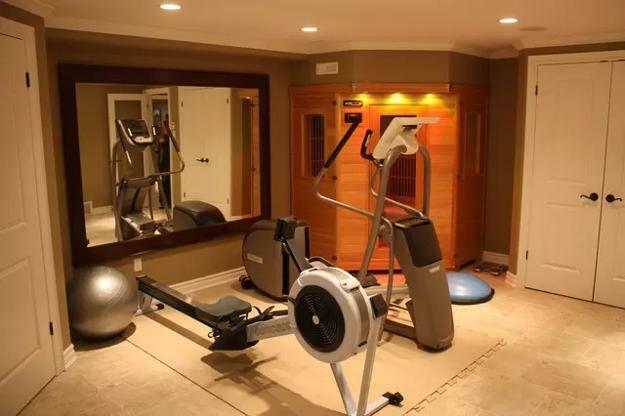 After the initial investment, you will save money on gym membership, commuting, and snacks. 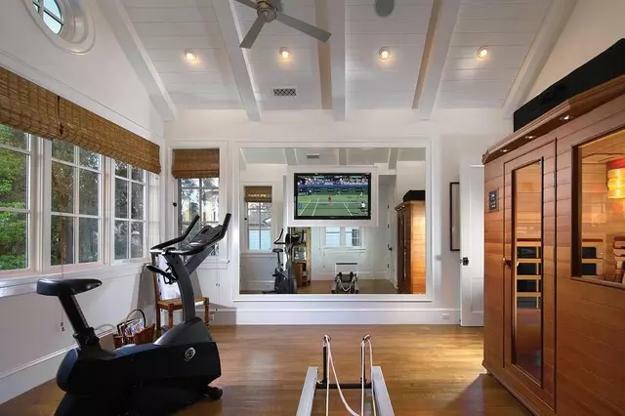 You can watch your favorite TV shows, movies, listen to music or enjoy the quiet environment in your gym. 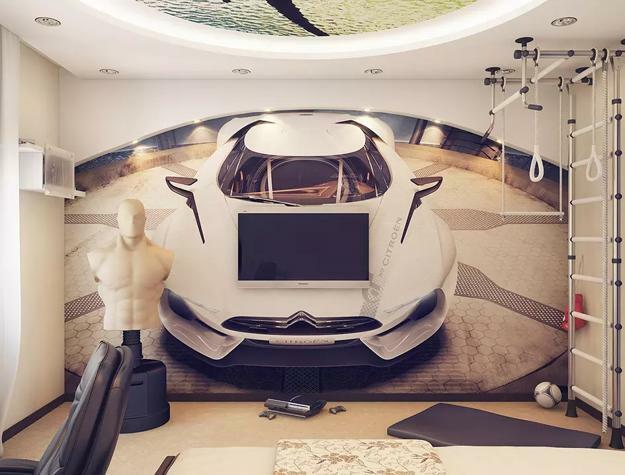 You will look and feel fantastic at home. 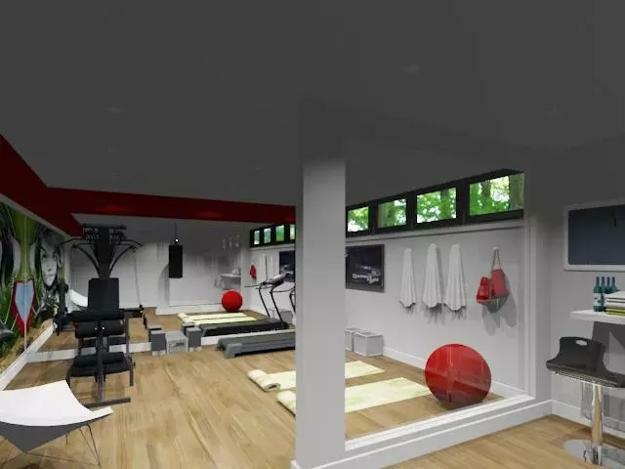 A personal gym design reflects the personality and individual goals. 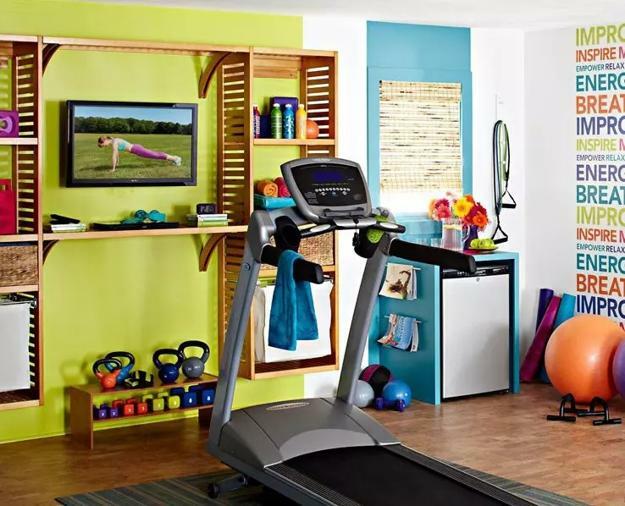 Bright wall art, dynamic sports pictures, motivating images can beautifully decorate the room creating a stimulating environment for exercising. 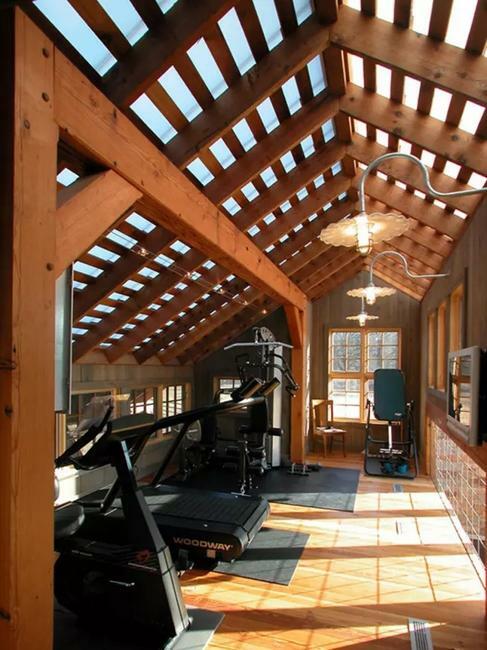 Your home gym is a retreat where you can spend mornings, afternoons or evenings. 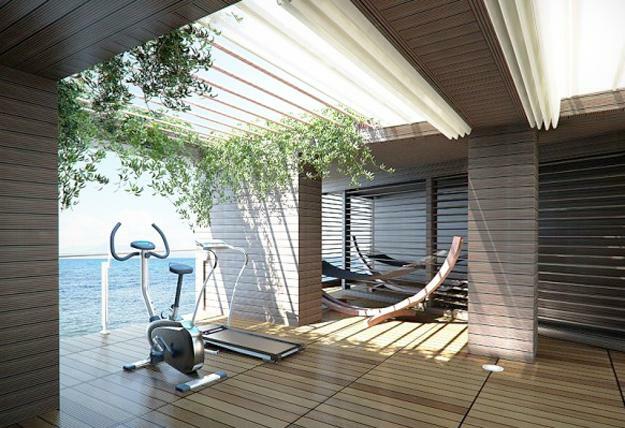 You can control the environment at home, make the temperature comfortable, and enjoy working out. 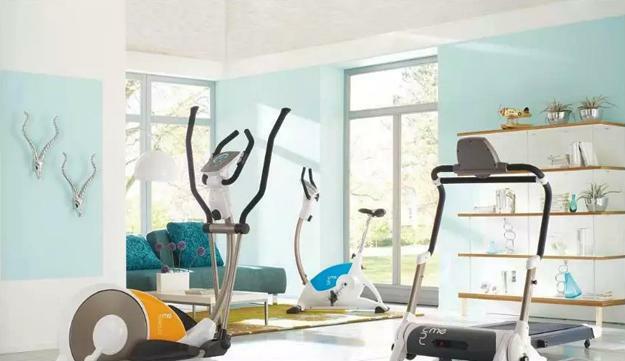 Your family members can use the equipment for no additional fitness club membership fees. 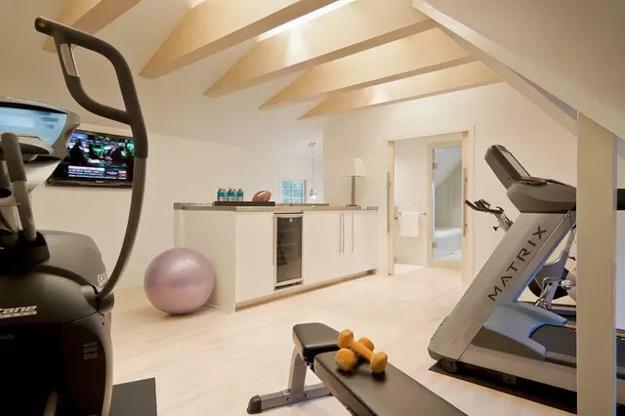 They will get fit and healthy also, which is another benefit of having a home gym.